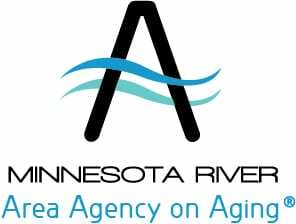 As the designated area agency on aging for 27 counties in southwest Minnesota, the Minnesota River Area Agency on Aging, or MNRAAA, is a catalyst in building communities where older adults live with dignity, mutual respect and shared responsibilities across generations and cultures. Use funding policies to build capacity for effective community services across the twenty-seven county region; leverage community resources; and respond to emerging needs. Convene providers, community leaders, and consumers to facilitate improvements in service delivery and systems’ integration; and develop services that address priority needs of older adults and their families in the region. Provide technical assistance to increase individual agencies’ capacity to develop or expand priority services. Provide high quality information, education and assistance through the Senior LinkAge Line® that meets the needs of older adults and their families and helps them make informed choices about benefits and services.